Ce document au format PDF 1.4 a été généré par LaTeX with hyperref package / Acrobat Distiller 8.0.0 (Windows), et a été envoyé sur fichier-pdf.fr le 27/04/2015 à 12:25, depuis l'adresse IP 89.225.x.x. La présente page de téléchargement du fichier a été vue 578 fois. Taille du document: 3.2 Mo (12 pages). depicting bodily injuries and adopting an imagine-self and an imagine-other perspective. inform intervention programs for this complex clinical problem. and Lamm, 2009; Decety, 2011a; Zaki and Ochsner, 2012). rather than overwhelms their desire to alleviate the other’s distress (Miller and Jansen op de Haar, 1997; Nichols et al., 2009). 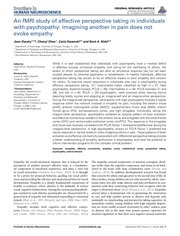 empathy ability (Shamay-Tsoory et al., 2006). subjective ratings of personal distress (Lamm et al., 2007). taking capacities (Blair, 2005; but see Brook and Kosson, 2012). circuits involved in affective processing. perspective (Dolan and Fullam, 2004). 2011; Zaki et al. (2007) for such methods in empathy for pain]. the University of New Mexico and the University of Chicago. were paid for their participation in the study. in a first degree relative, or current alcohol or drug use. finger in a door, or catching one’s toe under a heavy object). drawer). Participants viewed 120 stimuli of pain and no pain. (Psychology Software Tools, Inc., Pittsburgh PA). slices with an in-plane resolution of 1.0 × 1.0 mm. the series and re-sampled to a voxel size of 2 × 2 × 2 mm3. standard MNI space. Data were smoothed with an 8 mm fullwidth at half maximum (FWHM) isotropic Gaussian kernel. rate (FWE) at p &lt; 0.05.
may be additional cortical or subcortical brain regions that contribute to abnormal processing of these regions in psychopathy. meta-analysis of fMRI studies (Diekhof et al., 2012). reported for each factor and task. of k &gt; 10 voxels. detected in the left striatum and right amygdala. Table 1 | Imagine-self perspective. Pooled group results for all participants (n = 121). Table 2 | Imagine-other perspective. aINS and posterior cingulate cortex and dlPFC (Figure 5). which are significant at uncorrected p &lt; 0.0001.
significant signal increase was detected for the reverse contrast. right amygdala during imagine-self perspective (Figure 1). Table 3 | Groupwise results and factor sub-score covariates for imagine-self and imagine-other perspectives. 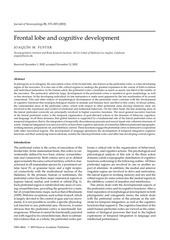 cortex; mPFC, medial prefrontal cortex; pSTS, posterior superior temporal sulcus. happening to themselves or to someone else. Jackson, 2004; Singer and Decety, 2011; Zaki and Ochsner, 2012). which these events are conveyed (Legrain et al., 2011). imagine-other perspectives in participants viewing bodily injuries. contribution of Factors 1 and 2 from PCL-R subscores. in pain, and correlation with scores on Factor 1.
not totally blunted when they take a first-person perspective. system involved in perception-action coupling) is the mechanism that facilitates emotion contagion and empathic arousal. this may be the case for pain. and negatively with the OFC and PCC in high psychopaths. association between callous traits and the aINS/ACC was found. and autonomic information (Menon and Uddin, 2010). access to central representations of reward and thereby participate in the processing of information underlying the motivational control of goal-directed behavior (Schultz et al., 1992). Activation of the ventral striatum while imaging another in physical pain was correlated with PCL-R Factor 1, and not Factor 2. (Buckholtz et al., 2010; Carré et al., 2013). were activated in controls during an imagine-other perspective, and that may contribute to lack of empathic concern. Anderson, N. E., and Kiehl, K. A. (2011). The psychopath magnetized: insights from brain imaging. Trends Cogn. Sci. 16, 52–60. refinement of a nuclear concept. J. Couns. Psychol. 28, 91–100. Neuroscience of Empathy, eds J.
Batson, C. D., Early, S., and Salvarini, G.
(1997). Perspective taking: imagining how another feels versus imagining how you would feel. Pers. Soc. Psychol. Bull. 23, 751–758. of typical and psychiatric populations. Conscious. Cogn. 14, 698–718. Benning, S. D., Li, R., et al. (2010). system hypersensitivity in individuals with psychopathic traits. Brook, M., and Kosson, D. S. (2012). C. S., Viding, E., and Hariri, A.
Cheng, Y., Hung, A., and Decety, J. (2012). Dissociation between affective sharing and emotion understanding in juvenile psychopaths. Craig, A. D. (2002). How do you feel. Interoception: the sense of the physiological condition of the body. Nat. Z. P., and Miller, G. A. (2013). needs, values, and goals. Curr. challenges of the neurobiological approach to empathy. Decety, J., and Hodges, S. D. (2006). Decety, J., and Jackson, P. L. (2004). study. Cereb. Cortex 22, 209–220. Decety, J., and Porges, E. C. (2011). Decety, J., and Svetlova, M. (2012). ontogenetic perspectives on empathy. Dev. Cogn. Neurosci. 2, 1–24. Dolan, M., and Fullam, R. (2004). ability in antisocial personality disorder with and without psychopathy. Psychol. Med. 34, 1093–1102. Hendler, T., and Shamay-Tsoory, S.
neural basis of social comparison. Hum. Brain Mapp. 31, 1741–1750. 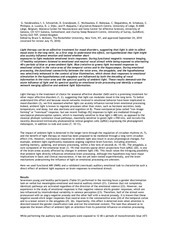 Ashburner, J., and Friston, K.
M., Pose, M., and Manes, F. (2011). Glenn, A. L., and Raine, A. (2009). aggression: evolutionary, neurobiological and legal perspectives. Int. and psychopathy predict brain activation during moral and nonmoral emotion regulation. Cogn. Herpertz, S. C., and Sass, H. (2000). Emotional deficiency and psychopathy. Behav. Sci. Law 18, 567–580. Jackson, P. L., Brunet, E., Meltzoff, A.
pain: an event-related fMRI study. 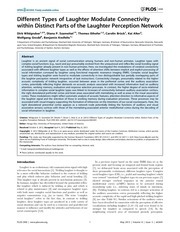 Lamm, C., Decety, J., and Singer, T.
common and distinct neural networks associated with directly experienced pain and empathy for pain. V. P., Surguladze, S., Brammer, M.
detection system for the body. X., De Brito, S. A., et al. (2013). Marsh, A. A., and Blair, R. J. R.
recognition among anti-social populations: a meta-analysis. Neurosci. 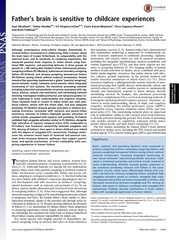 K. A., Adalio, C. J., Jurkowitz, I.
T., Schechter, J. C., et al. (2013). Marsh, A. A., Finger, E. C., Fowler, K.
J. C., Yu, H. H., et al. (2011). Menon, V., and Uddin, L. Q. (2010). Lange, K., Taschler, H., Röder, C.
Newman, J. P., and Lorenz, A. R.
altruistic helping. J. Soc. Psychol. Lieberman, M. D. (2011). The neural correlates of empathy: experience, automaticity, and prosocial behavior. J. Cogn. Neurosci. S., Weiner, M. W., et al. (2006). dissociation of social functioning in frontotemporal dementia. early signs of concern for others. taking with social emotions. J.
or clinical reality? Clin. Psychol. Rev. and Gabrieli, J. D. E. (2011). related to the expectation of reward. Shamay-Tsoory, S., Harari, H., AharonPeretz, J., and Levkovitz, Y. (2010). Y., and Aharon-Peretz, J. (2006). Berger, B. D., and Aharon-Peretz, J. Singer, T., and Decety, J. (2011). Neuroscience, eds J. Decety and J. T.
University Press), 551–564. doi: 10. Szalavitz, M., and Perry, B. D. (2010). Underwood, B., and Moore, B. (1982). 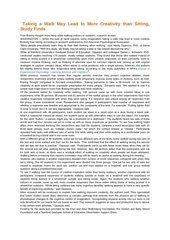 Van Honk, J., and Schutter, D. J. L. G.
cingulate in empathy for pain. Stirling, J., McKie, S., et al. (2006). Wager, T. D., and Nichols, T. E.
Young, L., and Dungan, J. (2012). Where in the brain is morality. J., Wager, T. D., and Mackey, S.
pain does not evoke empathy. Front. not comply with these terms. Ce fichier a été mis en ligne par un utilisateur du site. Identifiant unique du document: 00323115.